When Burning Reel Productions approached Prime TV for assistance with the creation of a new music video for Seafret's 'Wildfire’ they stressed the key to making it a success was ‘authenticity’. 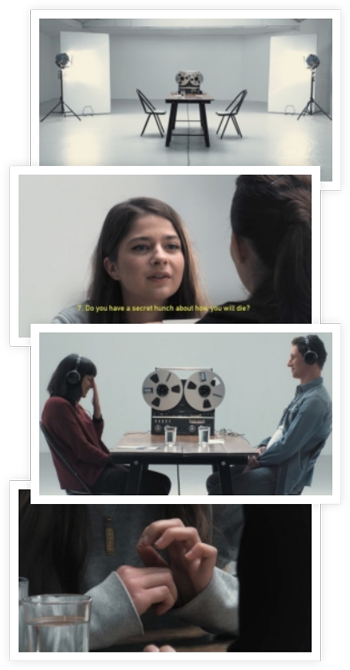 The video was to feature a modern day spin on psychologist Arthur Aron's 1997 'Experimental Generation of Interpersonal Closeness'; an experiment designed to analyse if strangers could fall in love with each other using certain stimuli. The exercise features a series of 36 questions, followed by each couple spending four minutes staring into each-others' eyes. Prime TV knew that, in order to deliver a video which was believable and left an emotional impact on the audience, they would have to capture entirely natural reactions from the couples involved. With this in mind the company, formed in 1990 as an equipment service provider for various news networks around the world, chose to use unobtrusive Panasonic remote cameras. "The main point of the video is to be natural" said Nick Ludlow, Managing Director of Prime TV. “By attempting to recreate such an intimate and intricate experiment, we faced the challenge of ensuring that the end product was conveyed as an authentic experience for the subjects. A total of four Panasonic AW-UE70 remote cameras were used to film the music video. The AW-UE70 is a PTZ camera, capable of up to 4K UHD imagery with excellent zoom range and exceptional pan-tilt performance. It features single cable operation using Power over Ethernet, a feature highlighted by Nick Ludlow due to the fact that, "rigging is simpler and easier" with a single cable. The challenge of creating a piece worthy of the quality of a fixed studio camera with a small remote camera was tackled head on by the production team. Through the use of controlled lighting conditions and the cinematic mode available on the UE70, the image reproduction capability of the camera became prevalent. “The UE70 cameras have a big advantage as opposed to the previous generation of remote cameras in the form of their frequency versatility. They will shoot 50i, 25p, 29.97psF etc. which is a big advantage. Very few cameras are able to produce true 25p,” Ludlow continued. By taking advantage of the preset modes of the UE70 and combining them with some user control, the Prime TV team were able to create what were described by Ludlow as “actual genuine shots that you wouldn’t get with a studio camera there”. From a nervous shuffle of hands, a stoic moment of reflection, to the exchanging of smiles; the music video intricately captures the true emotion of the subjects to create an authentic and powerful effect. The AW-UE70 is the latest edition to Panasonic’s comprehensive remote camera range which facilitates from SD to 4K UHD recording and single cable solutions. The range includes ultra-wide angle cameras, convertible HD models, indoor and outdoor pan-tilt heads, industry leading integrated PTZ (pan/tilt/zoom) cameras, plus multi-function high-performance, pan-tilt controllers suitable for all professional and broadcast applications.